America has a lot to answer for. I’m not talking about Trump or the neo Nazis or its gradual push for global annihilation because sure, we know those things are beyond reprehensible. We know Trump is literally a Nazi enabler. We know white supremacy is on the up thanks to the normalization of racism under his leadership. We know there’s probably going to be a nuclear war because the President tweets too much. And saying all that, what I actually want to talk about sounds deeply trivial, but we’re a lighthearted music mag and some stuff just needs saying, OK? America, oh America. We forgave you for enabling Jessie J, for never truly embracing the genius of Kylie Minogue and for trying to convince us Demi Lovato and Selena Gomez are not actually the same person. But there is something we will not forgive you for. I implore you, do not sleep on Dua Lipa. Britain is still reeling after you failed to give Little Mix – the best girl band of the 2010s – a hit single. Their biggest hit on the Billboard chart is ‘Black Magic’ which peaked at a measly 67. Despite multiple high-profile appearances, a slot supporting Ariana Grande on tour and millions upon millions of YouTube views and streams, the best you could give them was a low-key flop on the arse end of the top 100. True, their album sales are much better, with their first record scoring the highest entry position for a British girl band since the Spice Girls – but even these have been waning with their latest album peaking at an unimpressive 25. Bizarrely, as Little Mix gets better, their stateside popularity seems to be waning. So now is the time to make amends. As it stands, while Dua Lipa is winning hearts around the globe, the US is still reluctant to give her the seal of approval that will turn her into a bona fide superstar. Her latest track ‘New Rules’ has been an unexpected domestic smash while also making waves abroad, hitting the top 10 through Europe and Australia. But the US remains a sleeping giant. As it stands, ‘New Rules’ has faltered at number 60. And frankly, this is unforgivable. It’s sad but true that success on America’s Billboard Chart is still the key to unlocking real superstardom. Until an artist has achieved US popularity, they’re still viewed as lower tier pop stars, minor homegrown talents that failed to find success on the world’s stage. Take Robbie Williams for instance. His failure to be embraced by American audiences didn’t hamper his popularity in Britain, but he remains a distinctly British act, a little embarrassing even, and one that pales in comparison to similar American artists that made successful transitions to become worldwide stars. But we can’t let that happen to Dua. We won’t let her fire off a couple of European hits before being goaded into Eurovision or the Big Brother house. She’s a musician who deserves worldwide recognition, a singer already in possession of all the facets that make for a great pop star and a woman who has already given us some of the best pop tracks of the last five years. ‘Be The One’ and ‘New Rules’ are both beautifully crafted, addictive pop bangers that, in any just world, would rule the airwaves from London to New York. But as America has showed us time and time again – this isn’t a just world. So consider this a plea. America, turn off Taylor Swift, mute Miley and pause Pink. These guys already have their fame and fortune. Turn instead to Dua Lipa, the ascending star with the gusto, attitude and vocal prowess to make you realise that the new Pink song is actually really boring. In these trying times, Dua is the artist we need. So America – don’t let history repeat itself. 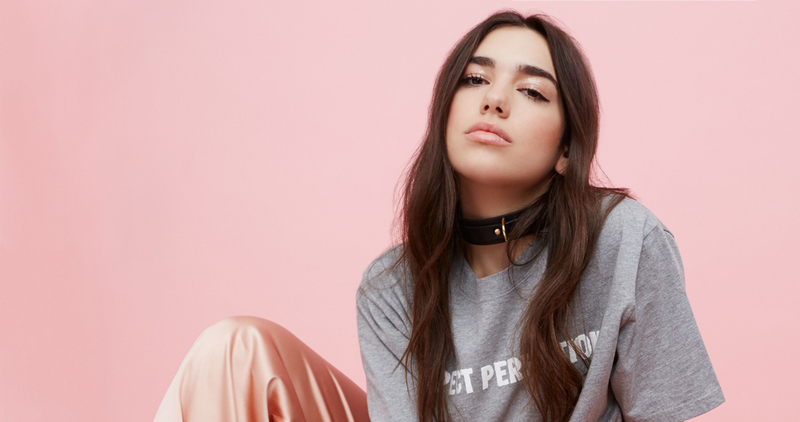 It’s time to wake up to Dua Lipa, your new favourite pop star.